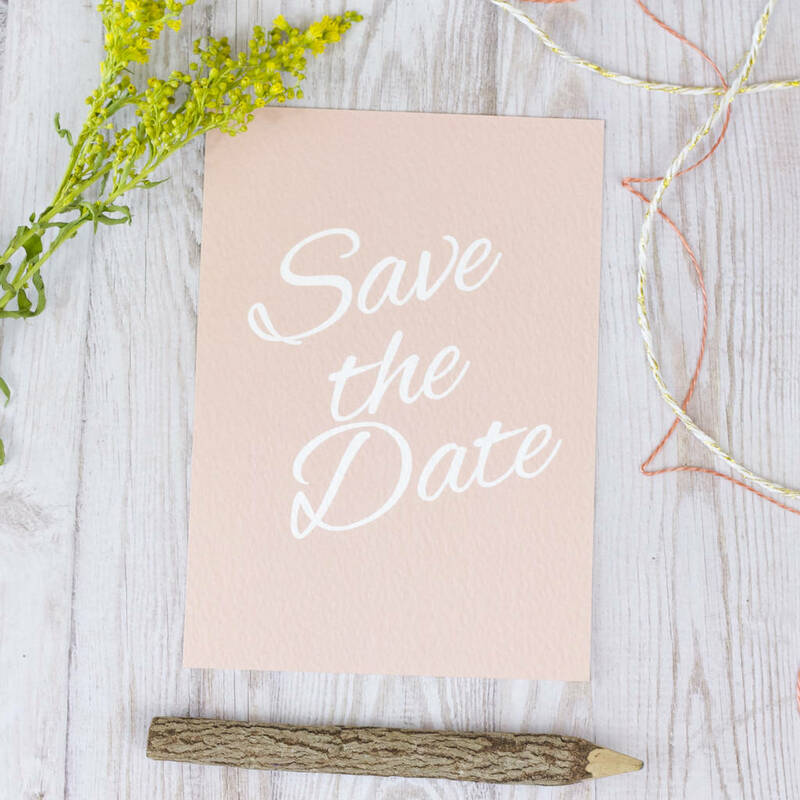 A pretty personalised Save the Date from our contemporary Heart + Arrow wedding stationery collection. 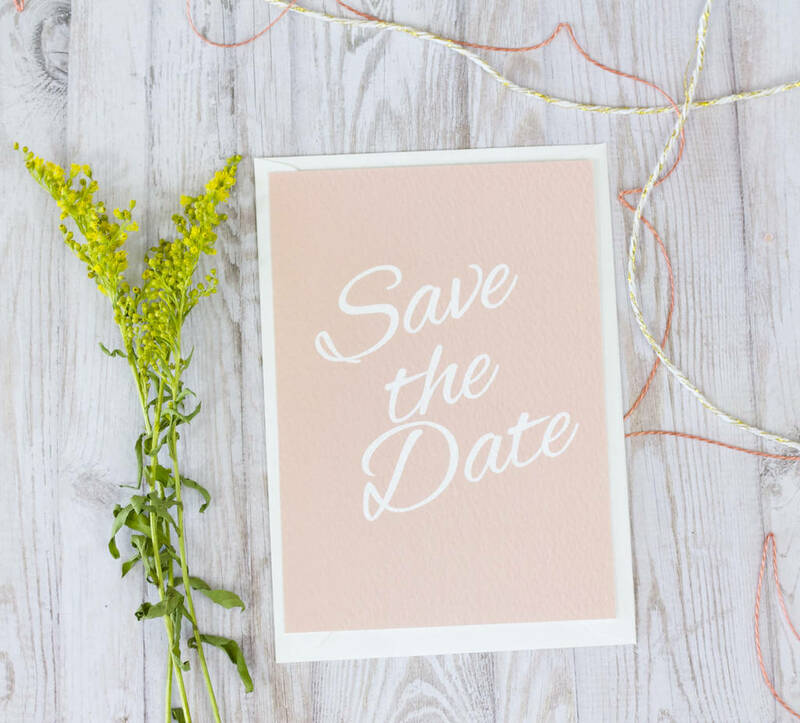 Choose this A6 size Save the Date to let your guests know about your big day. Personalised with your names and wedding date we can also include venue details etc and personalise to suit you. Printed on gorgeous textured 300gsm card all pieces are printed on the reverse too, making them a little bit more special! 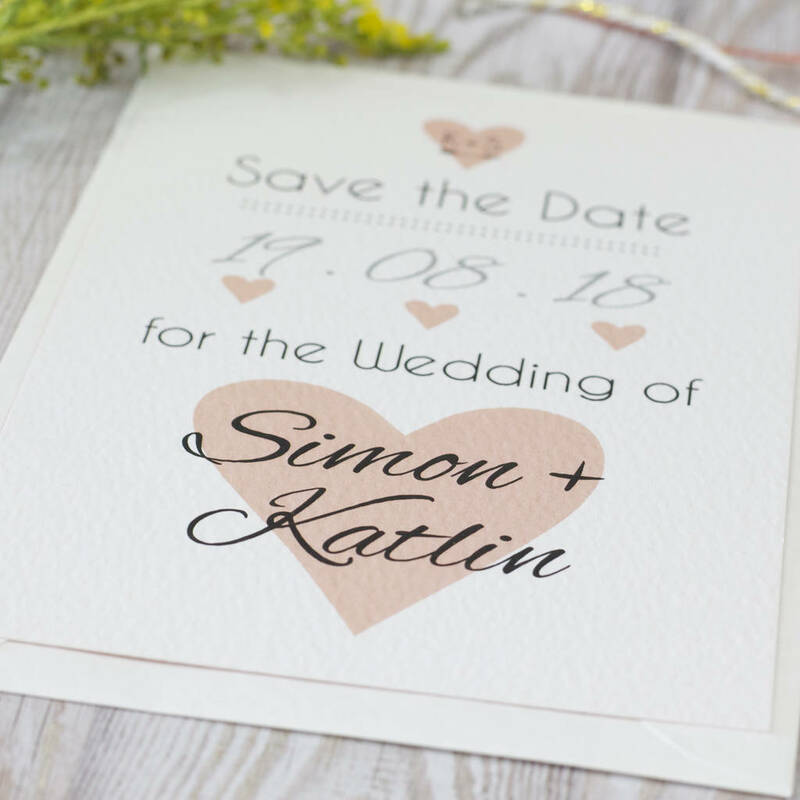 All Heart + Arrow stationery comes complete with your choice of white hammered or brown kraft envelopes and each card arrives in individual cello bags. Looking for invitations etc we offer a full stationery collection to match! 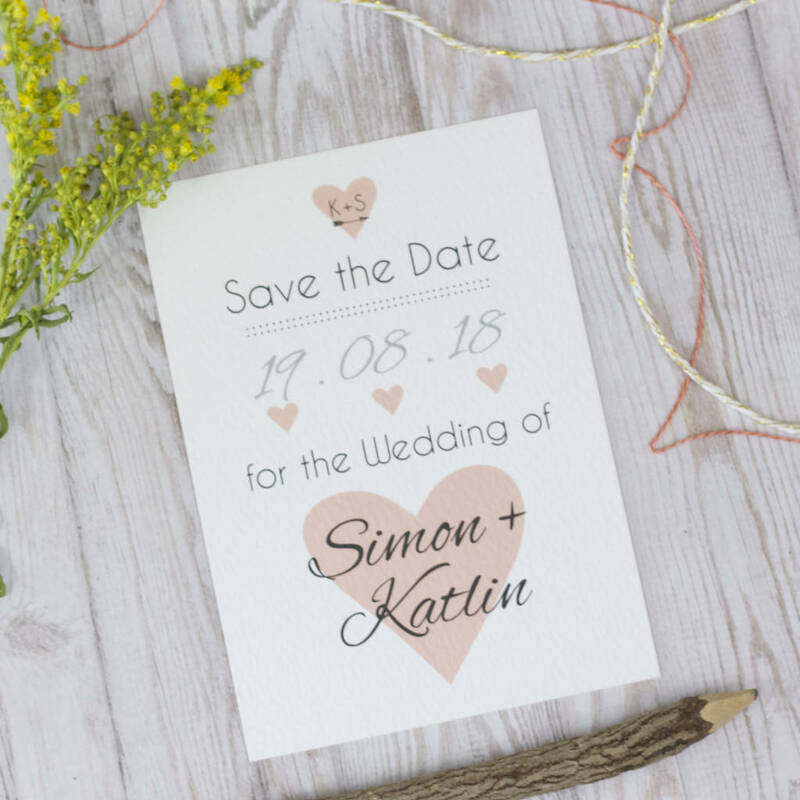 We also sell a lovely Save the Date magnet with no minimum order - please see separate product pages, a sample of this is included in your sample pack. 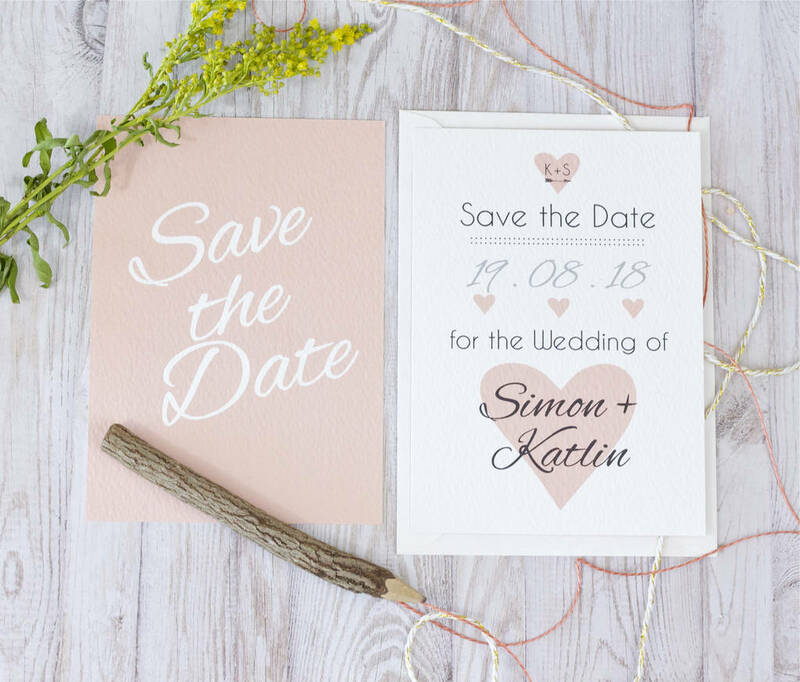 All stationery items in the Heart + Arrow range are printed on 300gsm fresco gesso. All cards and envelopes are FSC approved.